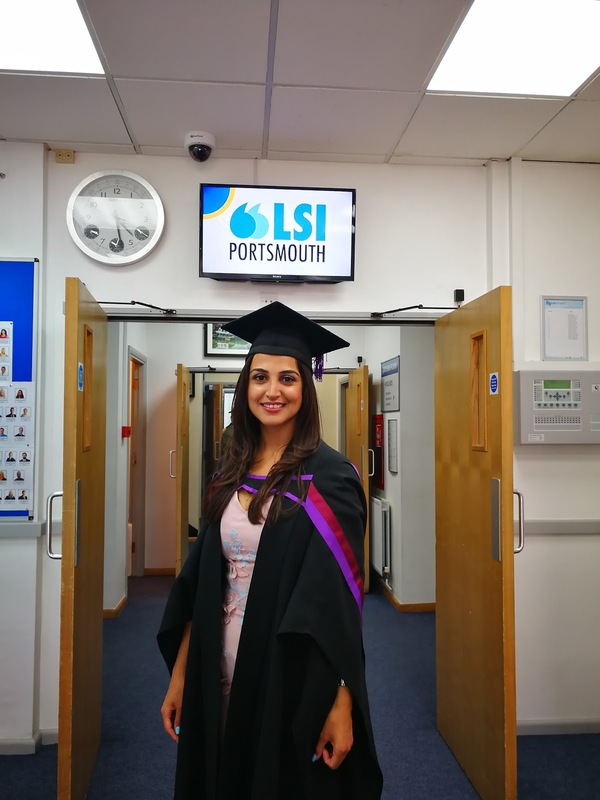 Here at LSI Portsmouth, one of the most intensive courses we run is our Pre-sessional courses, which prepare students for their university courses. It is not for the faint hearted, it takes dedication, perseverance and a lot of work. The students AND the teachers work incredibly hard, putting in so very many hours of preparation, study and course work. 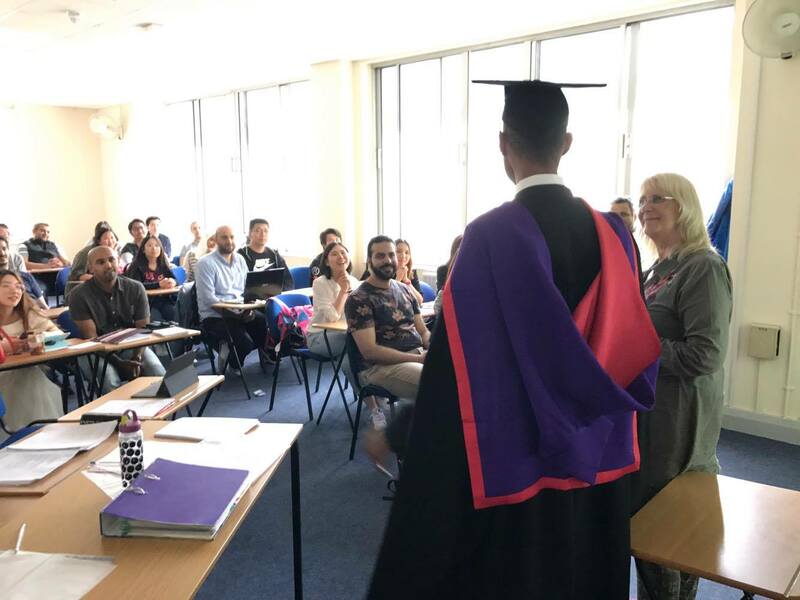 Last week was Graduation week at the University of Portsmouth and we were so proud to welcome back two very special students who had attended their graduation just around the corner at the university. We thought it would be nice to interview them, so the lovely girls in reception, who get to know all the students spoke to them and got some fantastic pictures. They both gave some really good advice for prospective university students. Regular readers of our blog will remember Majed, who did a rooftop interview video for us. So, this is his second interview, and we couldn’t be more proud to speak to him today. When were you with us Majed? What courses did you do? What did you go on to do at the university? Majed, why did you choose to come to the UK to study? 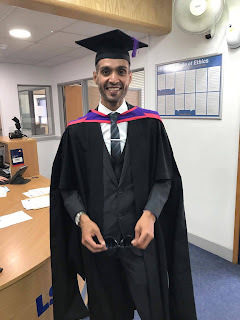 Ok, Majed, what made you choose LSI Portsmouth? Because LSI is the best! ;-) Thank you very much. So now, Majed what does the future hold for you? I’m going back to work, I was just promoted because I now have this Masters. (Congratulations Majed) Later on, I think I may do a PhD, and if so, I would really like to do it at the University of Portsmouth. If you had one bit of advice you could give anyone who was coming to study English in the UK, what would it be? It’s really important that you focus on your studies. It’s only a couple of years and then you can do what you want. I have seen quite a few people who have wasted their time, not doing the work, maybe because they weren’t paying for themselves, it’s a real shame and such a wasted opportunity. Majed visited one of our current Pre-sessional classes while he was here, to share his experience and to give the students some encouragement. To see how much they appreciated it, have a look at their faces! 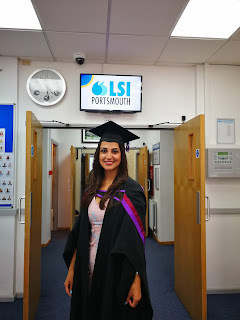 When were you at LSI Portsmouth? What course did you do? What did you go on to do? Congratulations Kosar. So tell us why did you choose to come to the UK? Because of the culture. I love the accent! I felt that there were a lot of opportunities here. It is also close to a lot of other places, which gave even more opportunities. 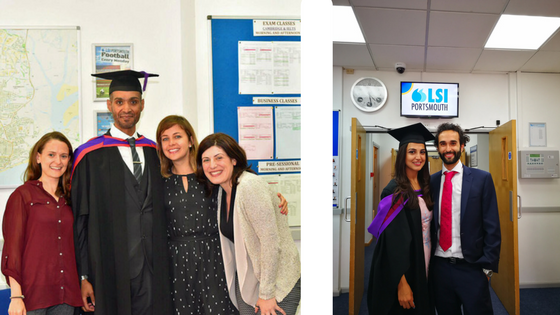 What made you choose to come to LSI Portsmouth? I did a lot of research before coming here. I saw really positive reviews from other students. From the photos I saw it looked like a very multicultural place, and I could imagine myself in one of those photos. Before I came I had a lot of contact with the school, through emails and phone calls and I was very impressed with how helpful and friendly everyone was. So, Kosar, what does the future hold for you now? Ah so much; My first aim was to get a graduate job, and I did it, I got a job with the UK’s largest construction company! (Congratulations again). I also want to work in women’s rights. I would love to become one of the inspiring personalities in the world and encourage women to follow their dreams. I would really like to write a book about my life and experiences and of living through two wars. I would like to work with Kurdish people in the UK, we have a lot of challenges. If there was one bit of advice you would give anyone coming to study English in the UK? The absolute most important thing is to INTEGRATE! You MUST make friends with everyone, no matter who they are or where they’re from. It’s not just about going to classes. I believe it is honestly one of the best things I have done since I have been here. Kosar gave the speech at her graduation ceremony https://www.youtube.com/watch?v=XSOixGgmNN4 watch from around 1:11:00. Thank you Elly and Csili for doing the interviews and photos. 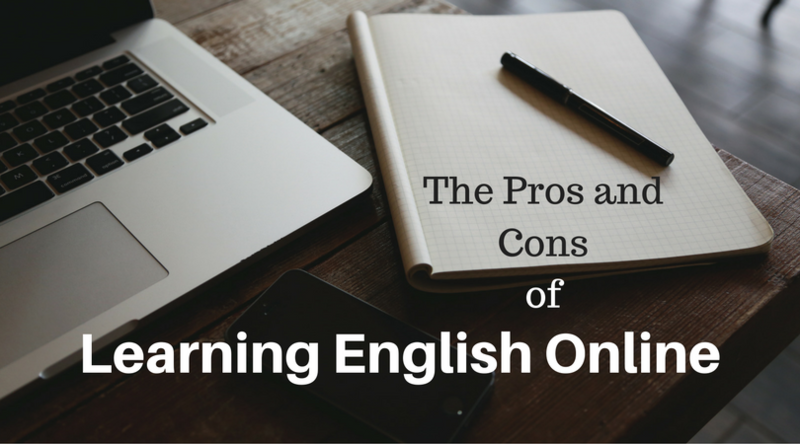 Before you try and answer the question of how to learn English online, it might be useful to start with the question of why learn English online, in fact, why are you learning English at all? By double-checking your motivation and objectives, you should be able to ensure that you learn English in the best way for you. Learning English online is often seen as a cheaper solution than learning in a local English school, or learning English in England, but it has to work, it has to be an effective use of your time. The question about motivation is important, because the cheaper or simpler the solution, the more motivation you’re going to need to reach the same outcomes. Learning English online can be free of charge, or cost just a few pounds or dollars, but at that price there will be very little to keep you inspired, and you will need to be the driving force behind your learning. So one answer to this question of how to learn English online is “with support”. That could be the support of other students, or it could mean finding an online English tutor. Once you have a small team around you, you’ll be more likely to complete the exercises you’ve set yourself, practise new language you’ve learned or revise for the next session. That gentle external pressure to complete work and move on is one of the biggest secrets of how to learn English online. If you don’t know where you’re going, it’s very difficult to know when you’ve arrived. If you need English for your studies or for work, you might be able to identify a specific level of English you need. English exams are a great way to find test and confirm your level to yourself and other people, and it gives you a formal qualification too. Tests like IELTS or Cambridge exams such as Key (KET), Preliminary (PET), First (FCE), Advanced (CAE) and Proficiency (CPE) are very comprehensive ways of testing your English which lead to an internationally recognised level which universities and employers can all use to understand your level of English. If you’re wondering how to learn English online for an exam such as these, that might be difficult, unless you find an online course which definitely covers all the different aspects of the exam, including speaking and listening. This is when sometime it is better to use face-to-face classes. By setting objectives, you can also measure your progress. By being aware of your level and how you are moving towards your objective, you’ll be able to see how effective learning English online is for you. Also, be careful of the quality of online English materials – it’s very important that you don’t learn incorrect English, because it will be quite difficult to unlearn it later. We have had situations here at our school in Hampshire (UK) where students come to us who have spent many, many years teaching themselves English online, and then absolutely insist a particular phrase or sentence in English is correct when in fact no one would ever say it in real life or understand them! Even if you’re using a great online English course, with no errors or mistakes, it may still be hard work teaching yourself. The reason learning English online is so cheap is that there is very little or no teacher time, and the same materials are being used for everyone, regardless of what you want to learn, or need and regardless of your learning style, your motivations, you character, your interests, your life and your experiences of learning English in the past. In short, an online course is not adapted to you. You’ll possibly go through most of it without feeling a deep connection to it, you won’t feel it’s about you, and you’ll still have to do a lot of work once your skills have improved to adapt what you’ve learned to be able to talk about you and your life, and have the kinds of conversations you’d like to have. If you find it doesn’t work out, that you’re not learning, and you’ve not progressed, then it’s easy to blame yourself – to say “I didn’t try hard enough”, “I wasn’t motivated enough”. That is unfair, because it is very hard to stay motivated when you’re learning something that isn’t about you. Only a tiny proportion of the population can be totally self-motivated in these conditions. Eventually, most people will give up. 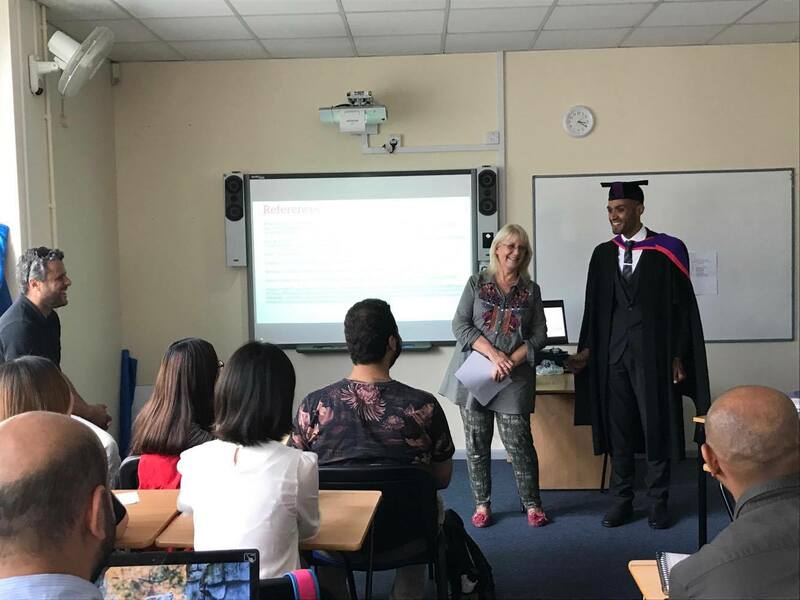 If they are really keen to learn English, that’s the time when something like a local English class in a group with a teacher, or best of the best, attending an English school in the UK will help the most. + Online English courses can give you access to more vocabulary and things to read than you would ever need. - You generally get what you pay for, but some big brands charge much too much money for their online programmes, and it might be cheaper in the end to just learn English in England!